The Creative Exchange is your gateway to the latest trends, topics and news shaping the sector today. Launched in April 2014, The Creative Exchange has attracted close to 40 national and international experts from across arts, culture, screen and design. 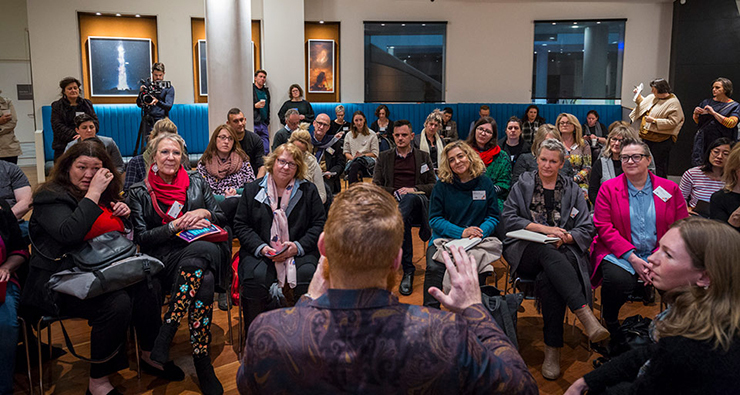 Covering a wide range of topics that are both relevant and thought-provoking, these free monthly events are open to anyone currently working in the creative industries with a keen interest in the most up-to-date information from right across the sector. Hear from industry experts, and discover new networking opportunities at The Creative Exchange. We look forward to welcoming you at our next event.